Whirlpool tubs can give your bathroom a spa-like upgrade with powerful massaging jets and whirlpool action that can make a regular bath even more relaxing. 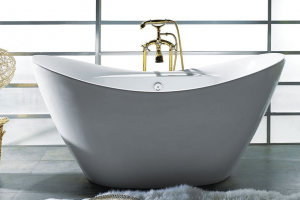 Like most tubs, though, not all whirlpool tubs are created equal, so choosing the right one can mean the difference between a tub that works well for a couple of years and a tub with a solid performance for decades to come. 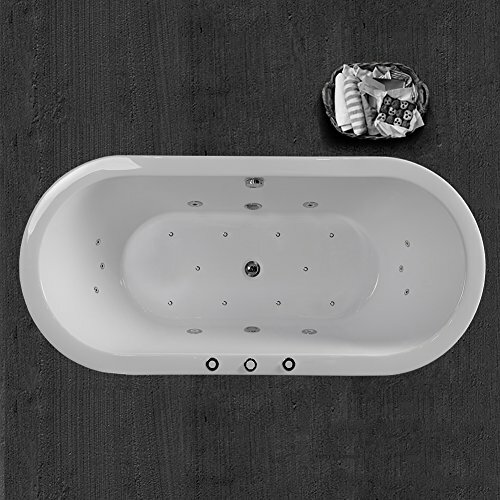 We want to help you find the best whirlpool tubs for your space so that you can narrow your options to get the perfect tub for you and your family. Our whirlpool bathtub reviews include information about five of the most popular models and how they compare to each other. With 19 massaging jets, a headrest, and a handheld shower extension, the Woodbridge Whirlpool Water Jetted and Air Bubble Freestanding Bathtub offers plenty of comfort for you to feel like you just stepped into a luxury spa. 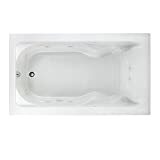 The American Standard Cadet 6-Feet by 42-Inch Whirlpool with Hydro Massage System-I is the largest whirlpool tub on our list, making it a good option for taller people who like to stretch out as they recline in the tub. 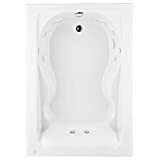 The American Standard Evolution 5-Feet by 36-Inch Deep Soak Whirlpool Bath Tub with EverClean and Hydro Massage System I has the brand’s EverClean surface coating that prevents excessive bacteria growth and makes it relatively easy to clean. 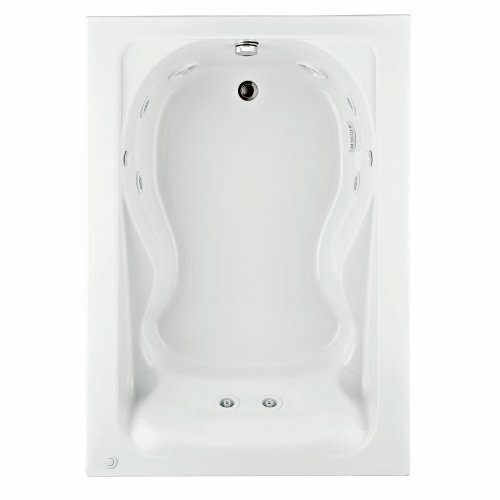 The American Standard Cadet 5-Feet by 42-Inch Whirlpool with Hydro Massage System-I offers several of the same features as the previous American Standard tub, but its slightly different measurements and inner mold shape might be a better option for some. ARIEL Platinum Whirlpool Bathtub is the only freestanding whirlpool on our list, so it could be a great option for specific bathroom styles. With 14 jets and 6 flow settings, you can get the spa-like experience you want in your home. Our whirlpool bathtub reviews include five of the top tubs based on performance, quality, and customer reviews. The Woodbridge Whirlpool tub may not be the budget-friendliest option, but it also has a lot of wow factors if you’re looking for something that can give you an authentic spa experience. It has 10 adjustable body massage jets, 10 whirlpool bubble bath jets, and an underwater mood lamp. One of the best features of this tub is how comfortable it is. 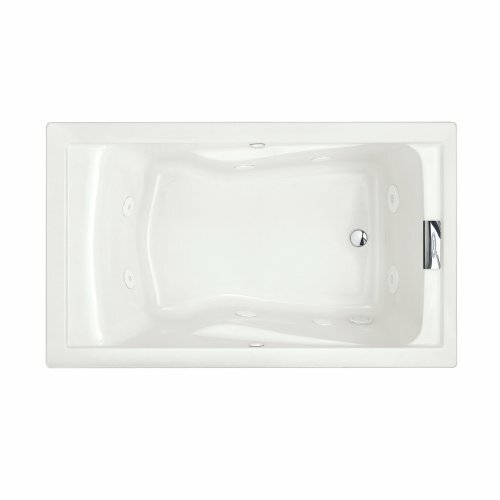 It’s nice and wide, and very deep with a gentle slope that offers a more comfortable, leisurely soak. Customers love the overall design of this standalone tub and how functional it is. However, some agree that drain hose it comes with isn’t very high quality like the rest of the bathtub so the help of an experienced plumber might be necessary. The ARIEL Platinum Whirlpool Bathtub sits at the highest price out of the tubs we review in this guide, but it’s one that will certainly give you what you want if you desire an ultimate spa experience in your home. The touchscreen is a fun feature to have on this freestanding tub. Not only can you adjust the jet settings with the keypad, but you can also use the screen’s lighting settings for chromatherapy as you relax. You’ll also have access to a radio with built-in speakers, a handheld shower attachment for convenient bathing, and a simple, curved design that can let you recline comfortably. 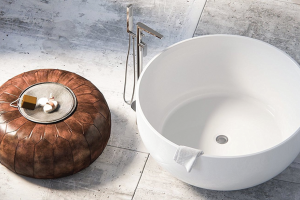 People who have purchased this tub love its sleek look and most agree that its unique features are well worth the higher cost. 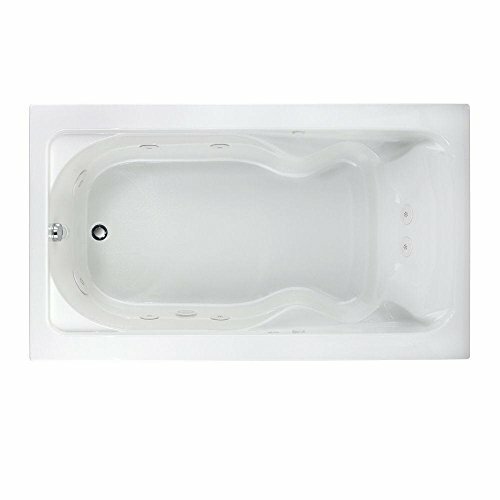 The American Standard Cadet is the longest whirlpool tub in our reviews, and this 6-foot size is ideal for tall people or extra room for comfortable reclining. 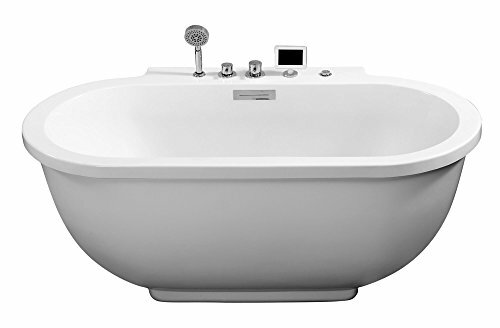 The internal design of this tub is unique in that its shape is made to offer as much comfortable as possible as you recline. The sloped back puts you in the right position to lay back and relax, and you can prop your arms up on the molded armrests. This tub is ready to connect to a heating system, but you’ll need to purchase the system separately, which can be a drawback because the tub is already at a high price point. Customers appreciate that this drop-in tub can be versatile as a left or right-handed system, or even installed as a tub/shower combo. The American Standard Evolution line comes with a variety of tubs in different sizes and looks. This is one of the narrowest, which can help it fit in smaller spaces, but may also not accommodate two people at a time. The jets in this tub are colored the same as the bathtub, which provides a clean, seamless look that you might appreciate if you don’t want the jets to stand out in your bathroom design. The American Standard Hydro Massage System-I offers eight jets with variable speeds, including two that are in the lumbar area for an integrated back massage. Most customers agree that the installation is straightforward and that its performance is right on track with what American Standard promises. This American Standard tub is similar to the other Cadet on our list but is shorter to accommodate different bathroom spaces. This tub does have some other differences to consider too. One beneficial feature is that its pipes include silver ion technology to keep them from molding so that your jet water stays as clean as possible. Some customers note that, while other similar tubs they’ve had have had difficult-to-clean jets, this one seems to keep the jets clean on its own. This tub does have a less powerful 1.6 HP motor, which could be a drawback considering its price isn’t that much different than the other Cadet model. Are you wondering how to understand the differences between the many whirlpool tubs on the market? Some are so subtle that it can be confusing to know what you need, so we created this informative guide to help. 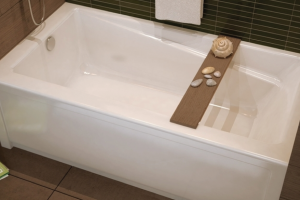 There’s no one-size-fits-all approach to bathtubs, so you’ll need precise measurements of the space where your new tub will go to ensure the proper fit. What many people fail to consider, though, are the size of the bathroom door. You might have your heart set on a wide bathtub, but it won’t do you much good if you can’t fit it through the doors in your home, so be sure to take this measurement. Also, the weight of your whirlpool tub is important. They can run a bit heavier than standard tubs, so you might want to check with a professional contractor to make sure your floor can support the weight. Whirlpool tubs don’t work quite the same as standard tubs. Not only do they need an electric pump to control the power of the water jets, but they also use a self-draining system hooked up to a motor that helps water drain. You’ll see the pump’s power designated by horsepower. A typical power range for whirlpool tubs is 1.4 HP to 2.0 HP, although outliers exist. The higher the horsepower, the more powerful the system may be, which means your tub may have more powerful jets and a quicker drain system. The higher-power systems usually do cost a bit more. You might want to consider the help of a plumber to make sure the tub you want has its hookups in the right place to match your bathroom’s plumbing. Lining everything up and having the correct measurements can be tricky if you don’t have plumbing experience. Make sure the plumber looks at your bathtub space and information about the bathtub you want and compares the two to make sure they’ll work together. Whirlpool tubs come with a lot of features that can boost the price. While some features might be helpful for some people, other people might end up paying for things they don’t need. Who will be using the tub the most? Do they need handrails to help them get in and out? Will low or high sides be more practical? Take time to sift through all the features to ensure you’re only paying for what you need the most and that the tub will have the ultimate functionality required for your family. Your tub is going to become a focal point in your bathroom, so it’s essential that it fits within your design. 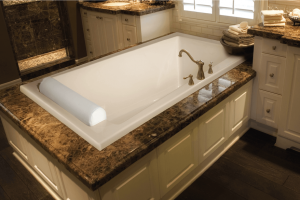 This is where the choice between a standard, drop-in, or freestanding tub plays a role. Think about the other elements and shapes in your bathroom. 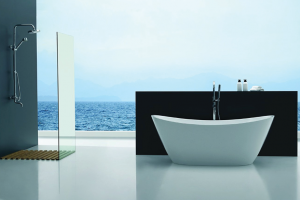 If your design has sharp lines for a modern feel, then a rectangular tub may work best, but a more contemporary design might look great with a curved, freestanding tub. 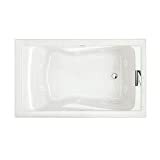 Our pick for the best whirlpool tub is the Woodbridge Whirlpool Bathtub. In a close second was the ARIEL Platinum. The Woodbridge comes with more jets and special additions that can give you the best spa experience for your money while the ARIEL comes with a touchscreen with bluetooth. We like that the Woodbridge is wide and deep so make it very a comfortable experience. With the ARIEL Platinum, thanks to the screen and radio, you’ll even have a tech-ready tub with easy controls and music to help you reach your ultimate comfort level. Our guide features some of the most popular whirlpool tubs on the market, and we hope that it helped you learn more about important features and figure out what ones you need most. 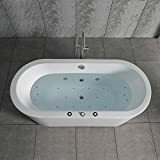 These best whirlpool tubs are excellent selections to consider for their quality, performance, and ability to give you the spa treatment you want.